The RNC is asking for the public’s assistance in identifying the man responsible for an armed robbery. 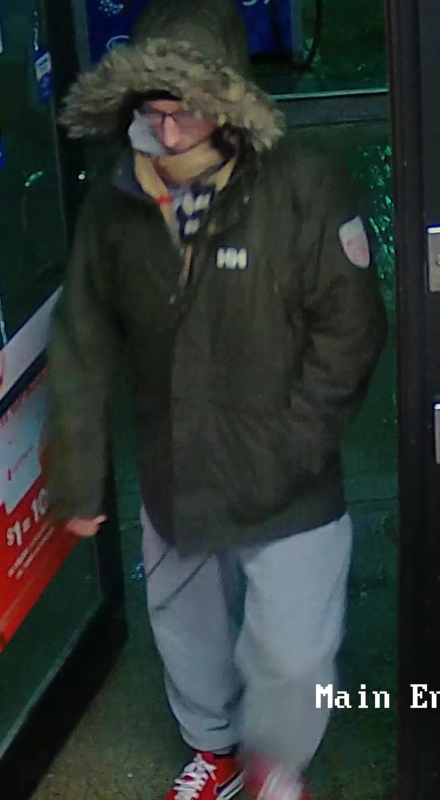 Thursday, April 4th around 4:00am, police responded to a report of an armed robbery at a service station on Newfoundland Drive in St. John’s. The suspect reportedly entered the business armed with a weapon, demanded cash from the staff, and fled with an undisclosed amount of cash. He is described as skinny, approximately six feet tall, in his twenties, wearing glasses and a green winter jacket with fur on the hood. Anyone with information is asked to contact the RNC or Crime Stoppers.